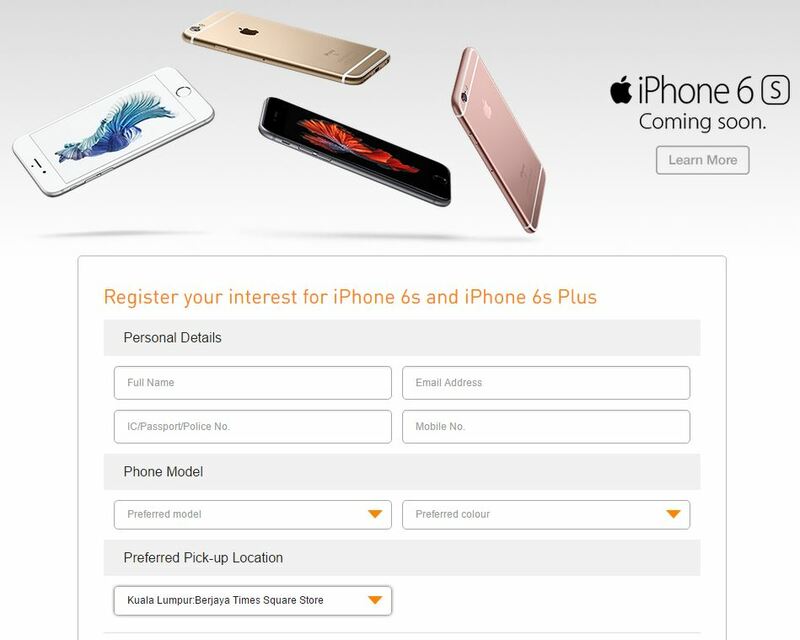 I’m sure almost everyone knows that the new iPhone 6s and iPhone 6s Plus will be available in Malaysia pretty soon. As an iPhone user myself, I’m eagerly anticipating the launch of the new iPhone 6s and 6s Plus. I’ve been using my iPhone 4 for years and lately, it’s starting to show its age. With the new release, it’s kinda perfect timing for me to consider changing to a new iPhone but with the strong U.S. dollar, the prices of the new iPhones will definitely be more expensive, burning a big hole in my pocket 🙁 I probably have to fork out at least 1k plus as advance and upfront payment for the device plus I’ll also be bound by a contract. And this is how I came to know of this Flexi U MicroCredit plan offered by U Mobile for both iPhone 6 and the new iPhone 6s. Basically, the Flexi U MicroCredit is a scheme offered by U Mobile so that everyone can afford to own an iPhone; whether it’s iPhone 6, iPhone 6 Plus or the upcoming iPhone 6s and iPhone 6s Plus. No Deposit, No Contract, No Credit Card required & from as low as RM48 per month for the installment repayment – sounds good right but it’s really that good! If you have a credit card, I’d say opt for Easy Payment Plan (EPP), but if you have no credit card, I’d say go for U MobileCredit installment plan. The Flexi U MicroCredit installment plan gives you a complete control over how to get your dream iPhone at an affordable price 🙂 With Flexi U MicroCredit, you’re free to decide your loan amount, the repayment tenure and finally pay off the remaining balance in either cash or credit card. You can choose to finance between RM1,000 to RM3,500, choose to pay back from 12, 24, 30 or 36 months and decide to pay the remaining balance in either cash or credit card. With all the interesting features of U MicroCredit, don’t you think owning an iPhone 6s can be a dream come true? If you’ve been dreaming of owning an iPhone 6s, make your dream come true today! Just log on to http://www.u.com.my/iphone6s and fill up your personal details, your preferred phone model and your preferred pick-up location. Let me just do a quick calculation of the monthly repayment for an iPhone 6s 16GB model with full financing for 36 months. 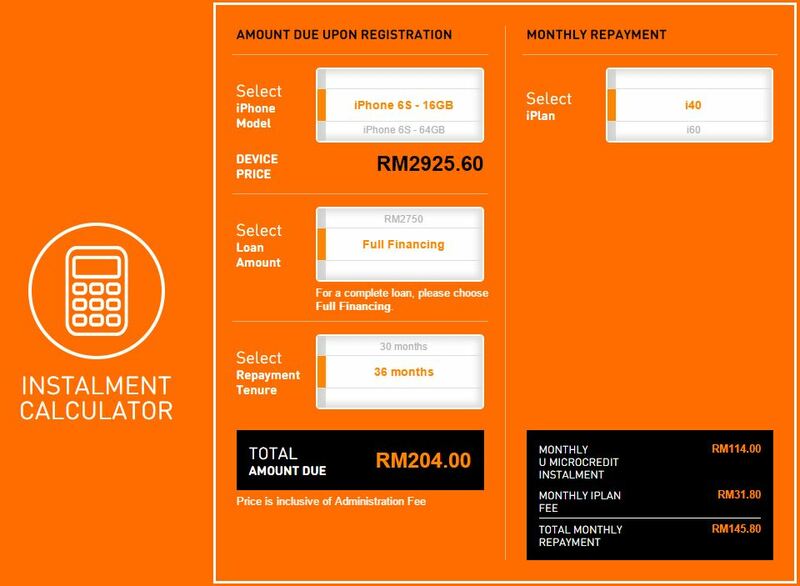 The first monthly repayment is RM204 which is inclusive of administration fee and i40 plan. However, the following month onwards, the monthly repayment is RM145.80. 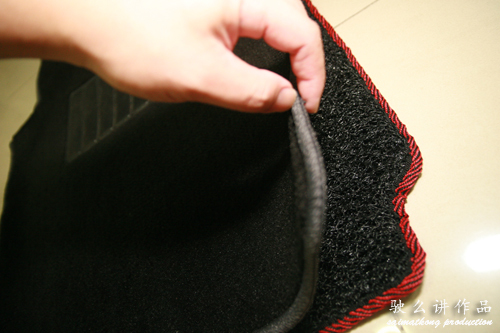 The perks of the Flexi U MicroCredit is that there is no deposit required and you won’t be tied to any contract. 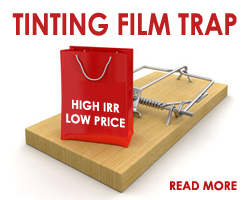 However, your first monthly installment fee is inclusive of a one-time administrative fee. 1) Apply Online: You can apply online and check your application status before visiting your selected appointment location where you can then collect your iPhone upon completion of payment. 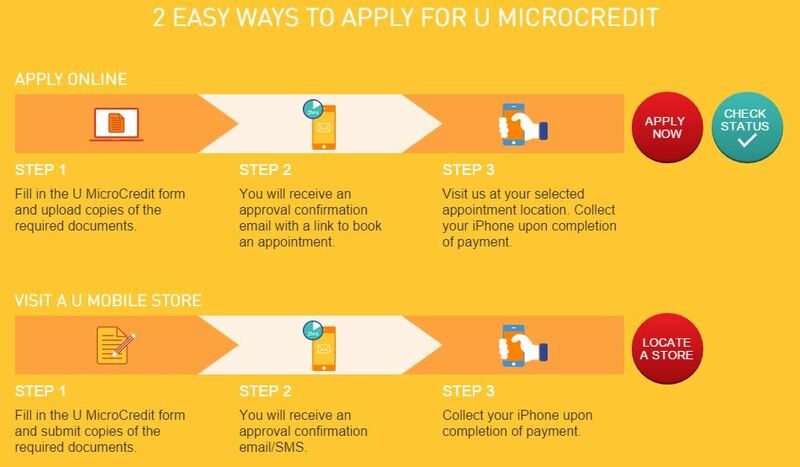 2) Visit a U Mobile Store: You can visit any U Mobile Store to in the U MicroCredit form and submit copies of the required documents after which you will receive an approval confirmation email/SMS within 2 hours. You can then collect your iPhone upon completion of payment. 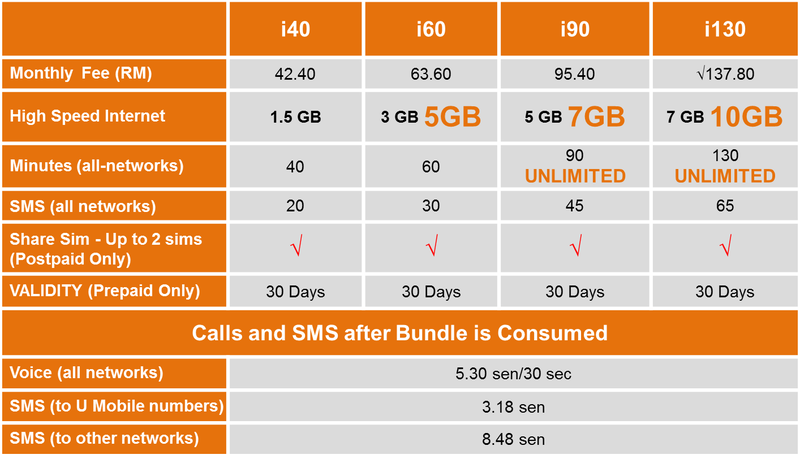 U Mobile has 4 plans to choose from for postpaid – i40, i60, i90, and i130. 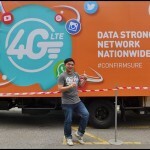 The cheapest option is i40 plan that comes with 1.5GB of data, 40minutes of calls and 20SMS to all networks for just RM40 per month. 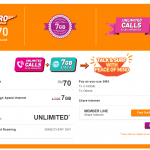 With an extra of RM20 per month on i60, you’ll get 5GB of data, 60 minutes of calls and 30 SMS. 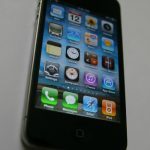 However for any excess usage, all calls are charged at 5 sen/30 seconds and 3 sen/SMS to all networks. i90 (RM90/month) and i130 (RM130/month) plans both offer unlimited phone calls and it also come with 7GB and 10GB of data respectively. Fun Facts : If you are planning to get an iPhone 6s wouldn’t it be better to get it cheaper with the data plan + free calls + SMS at the same time too? 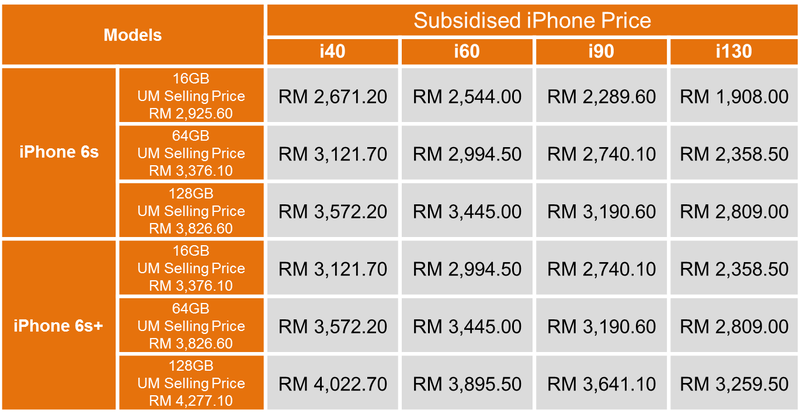 Simple calculation : iPhone 6s RRP RM3,199 vs iPhone 6s subsidized with i40 plan RM2,520 (before GST) + i40 plan for 2 years (RM40 x 24 months) = RM3,480. With the difference of just RM281 you get to enjoy 1.5gb + 40 minutes + 20sms per month for 2 years!